Thailand and Malaysia) taking part in it. 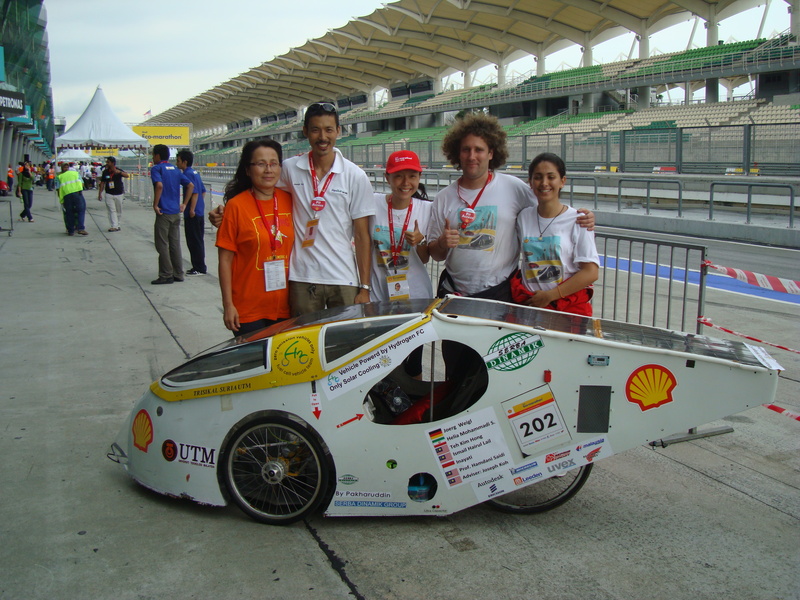 Teknologi Malaysia (UTM), Kuala Lumpur was also participating with his fuel cell vehicle. Joerg was exhibiting at Hannover Fair in 2003 and 2010.
conferences like in Luzern and Vancouver. He should do well. alternative fuels such as hydrogen, biomass and solar. managed to complete the circuit with an astonishing result of 598.8 km/l. managing an outcome of 612.4 km/l. Wong, Daniel. Brains vs brawn at Sepang. New Sunday Times.July 18, 2010.